HAMILTON, Ontario, July 16, 2018	(Newswire.com) - Dr. Anne Anderson, csj, Chair of the Board of Directors of St. Joseph’s Health System (SJHS), in consultation with the Diocese of Hamilton, today announced that Dr. Tom Stewart, is the new incoming Chief Executive Officer (CEO) of SJHS and Niagara Health. 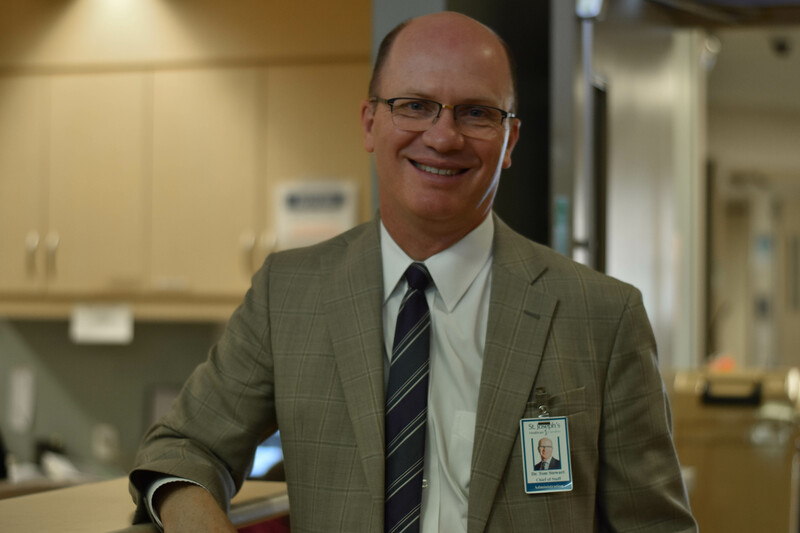 Dr. Stewart is currently serving in an integrated system role as Joint Chief of Staff for Niagara Health, where he is also Executive Vice-President Medical, at St. Joseph’s Healthcare Hamilton and at Haldimand War Memorial Hospital. He begins his new role on Aug. 1, 2018. Dr. Stewart will be President and CEO of St. Joseph’s Health System, a large and complex health system which spans six different member organizations with multiple sites including: St. Joseph’s Healthcare Hamilton, St. Mary’s General Hospital in Kitchener, St. Joseph’s Health Centre in Guelph, St. Joseph’s Home Care, St. Joseph’s Lifecare Centre in Brantford and St. Joseph’s Villa in Dundas. He will also act as CEO of Niagara Health. Together, these organizations have a total budget of $1.3 billion and account for approximately 13,000 staff and physicians and 2,800 beds. Dr. Stewart is well known for his outstanding contributions to the healthcare system provincially and nationally. He has worked in a number of academic hospitals and distinguished himself as an award-winning leader in critical care medicine. 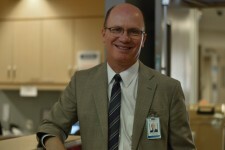 He has led many provincial initiatives and was a key architect of the Ontario Critical Care Strategy. An academic physician, Dr. Stewart is currently a Professor in the Department of Medicine at McMaster University. While at the University of Toronto, he led a number of innovative, multi-centre, international clinical trials leading to publications in some of the most reputable journals in the world, including the New England Journal of Medicine and Journal of the American Medical Association. Dr. Stewart graduated with a Doctor of Medicine with Honors from University of Ottawa followed by training in internal medicine and adult critical care medicine at the University of Toronto. He undertook further research training at the University of Paris VI and the University of Toronto. “I am proud to be chosen as the next leader of St. Joseph’s Health System and Niagara Health,” said Dr. Stewart. “We have an exciting opportunity to build on the incredible success that led to the creation of one of the largest health care systems in the country. St. Joseph’s Health System, Hamilton is one of the largest corporations in Canada devoted to health care. Our member organizations are known for genuine compassion and caring, both locally and around the world. Each of the organizations offer services according to their strengths, from acute care, long-term care, and community care, to rehabilitation, hospice, community outreach, and mental health. SJHS is also a well-recognized leader for innovation in models of patient-centred, integrated care at each stage of the patient experience. Niagara Health is on a bold new journey to create a healthier Niagara. Established CORE values inspire all to be EXTRAORDINARY: Compassion in Action, Driven by Optimism, Achieving Ambitious Results. Niagara Health is a regional healthcare provider with multiple sites and a growing network of community-based services. With more than 4,800 employees, 600 physicians and 850 volunteers, Niagara Health provides a wide range of inpatient and outpatient services to more than 450,000 residents across Niagara, including Acute Care, Cancer Care, Cardiac Care, Complex Care, Emergency and Urgent Care, Kidney Care, Long-Term Care, Mental Health and Addictions, Stroke Care and Surgical Care.